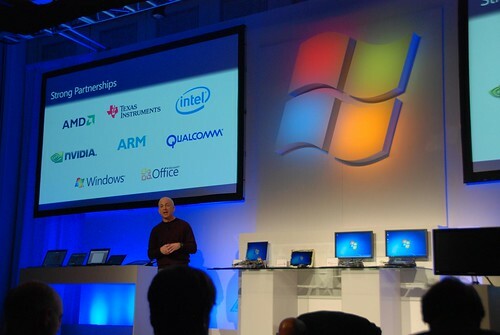 The big news coming from CES 2011 is that the next version of Windows will support ARM processors and SoC. At CES 2011, Microsoft demonstrated a range of devices running Windows 8 and Office on the SoC architecture. SoC chips are small i n size and are designed for mobile computing devices such as tablets and mobile phones. Qualcomm’s famous Snapdragon is an example of a SoC. At the demo, SoC from Qualcomm, Intel, Nvidia, Texas Instruments were shown running the next version of Windows. Microsoft showed a 1080 HD video being played on these tiny chips and even connected a printer with Microsoft Office by updating the ARM driver for Windows.